Extensive and well documented group to Hauptmann Rudi Meschkat, Reiter Regiment 1, 3. kradschützen schwadron, 2. Aufklarung Abteilung 1, 1. Aufklarung Abteilung 18, 1. 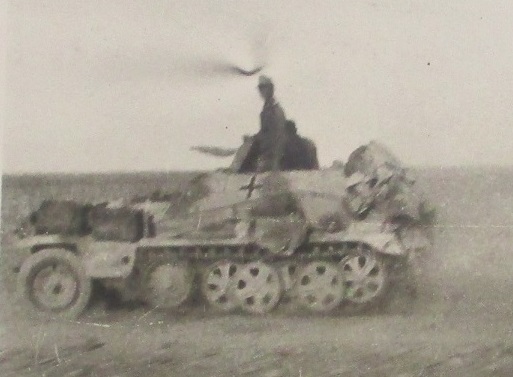 Aufklärungs Abteilung 8 8th Panzer-Division and Aufklarungs Abt. 33 in Afrika. 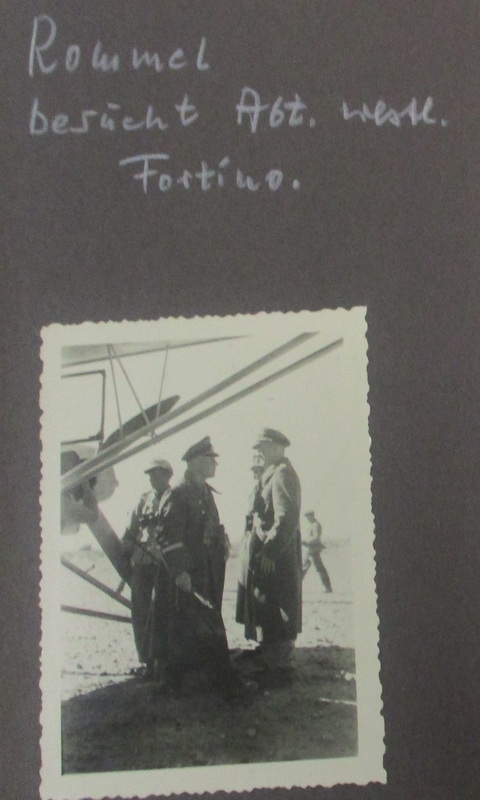 Included are two excellent photo albums covering 1939 to 1943 from Germany in Aufklarungs Abteilungs 8, through Prague, to Paris and Afrika with Rommel, then Italy with Aufklarungs Abt 33. His Wehrpass is complete and includes documentation of awards of the German Cross in Gold, 25 Panzer Assault Badge, Honor Roll Clasp, Iron Crosses 1st & 2nd C!asses, and all three grades of Wound Badges. 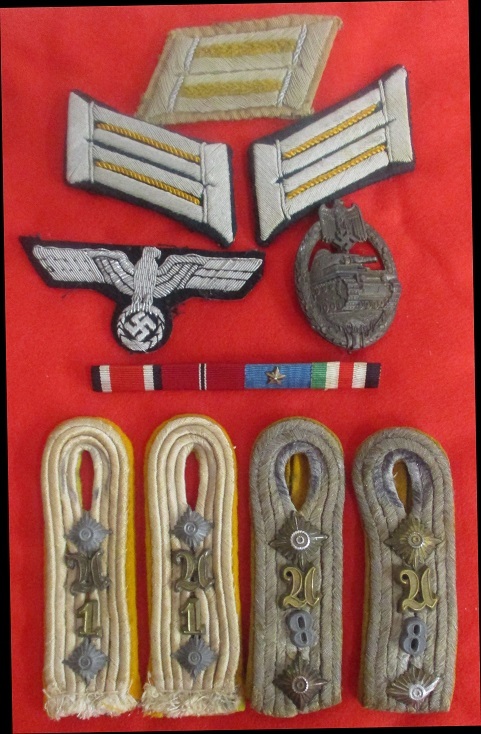 Insignia includes a bullion breast eagle, Aufklarung collar tabs, and numbered 1 and 8 Panzer Aufklarung shoulder straps, his Bronze Panzer Assault Badge and a four place ribbon bar with Iron Cross, Eastern Front Medal, Italian Al Valor with Star, and Medaille für den Italiensch-Deutschen Feldzug in Afrika. 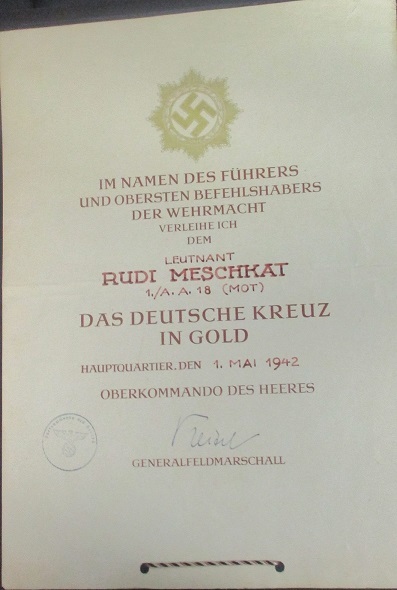 Highlighting the group is his rare original German Cross in Gold Document. 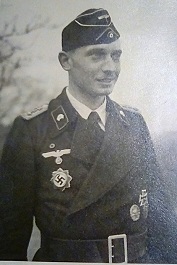 Meschket earned his German Cross in Gold on May 1, 1942 while serving with 1./A.A. 18 (mot.). 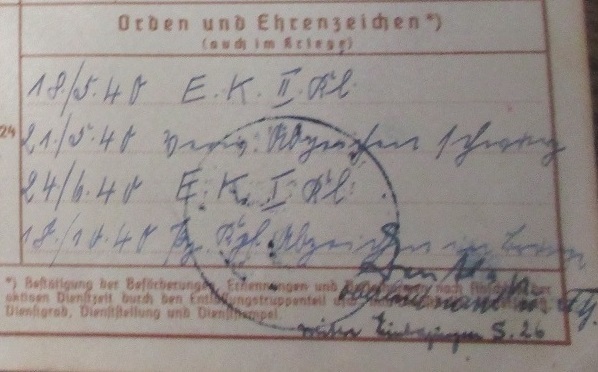 His formal award document is in excellent condition with proper stamps and GENERALFELDMARSCHALL signature. 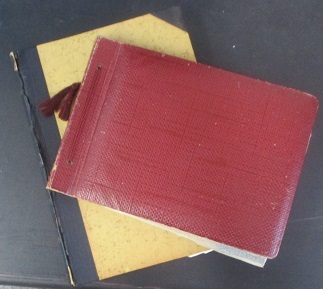 The first photo album contains 140 photos. Dusseldorf 1939-41, Prag to Paris 1941, all neatly captioned in his own hand. 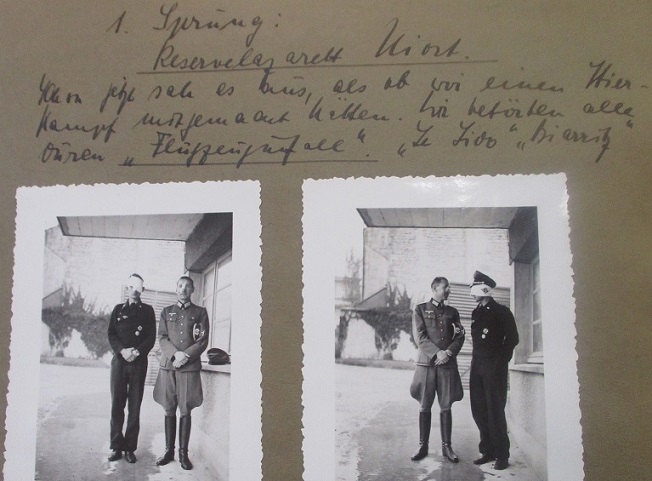 Includes 'tourist shots' and a skiing holiday with an attractive lass as well as a fascinating montage that begins with several striking photos of Meschkat proudly wearing his First Class Iron Cross and Wound Badge while recovering in hospital from severe facial wounds. There are photos of him in his black Panzer uniform with awards to include the DKiG, other Panzer officers in grey and black uniforms with Iron Crosses and Panzer Assault Badges, neat shots of vehicles and firing automatic weapons. 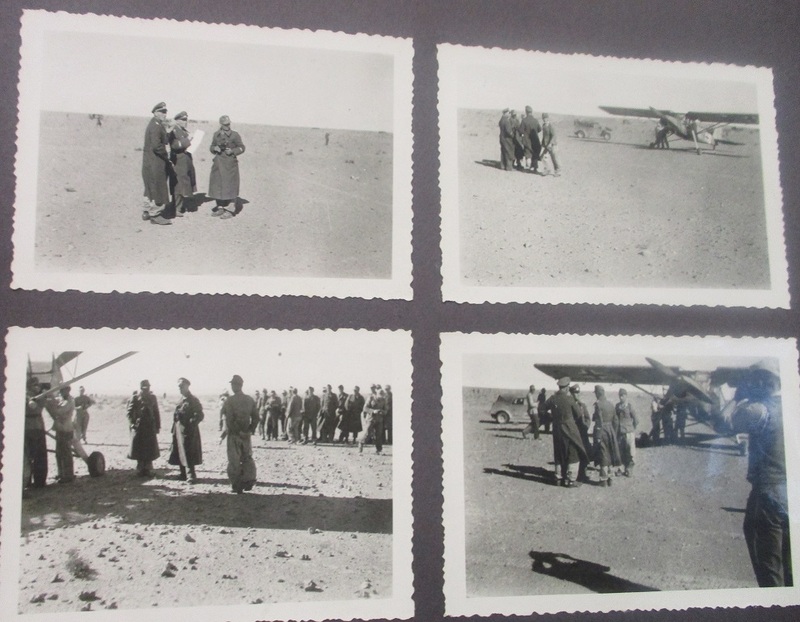 The second album of 142 photos covers Afrika in 1942-43 and includes seven original private unpublished Rommel photos of the famed Field Marshal arriving by Fieseler Storch. Continues into Berlin, Wien and Italy in 1943 while in Aufklarungs Abt 33 of the 15 Panzer Division. Well captioned throughout there is a great portrait of the Officer in his Panzer wrap wearing DKiG. 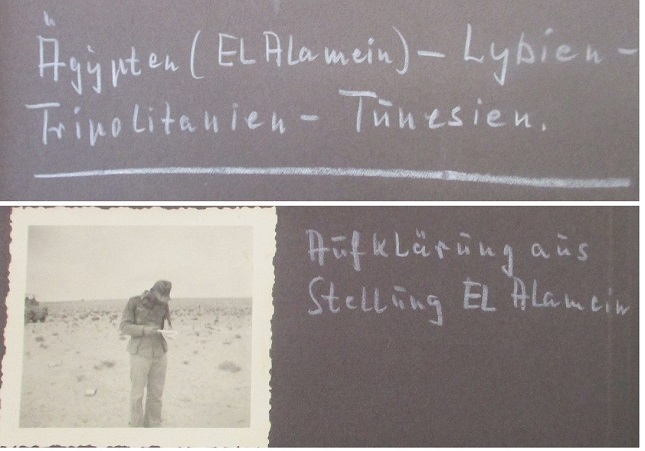 Other photos depict him in the desert and in Italy, several excellent photos from EL ALAMEIN, photos of U.S. and British vehicles, Sd.Kfz. 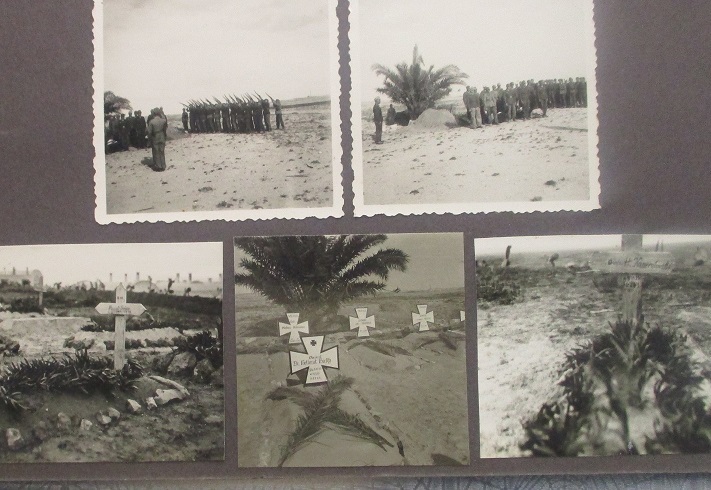 250 and other vehicles and Flak, a funeral ceremony and graves in the desert, natives and native troops and more.